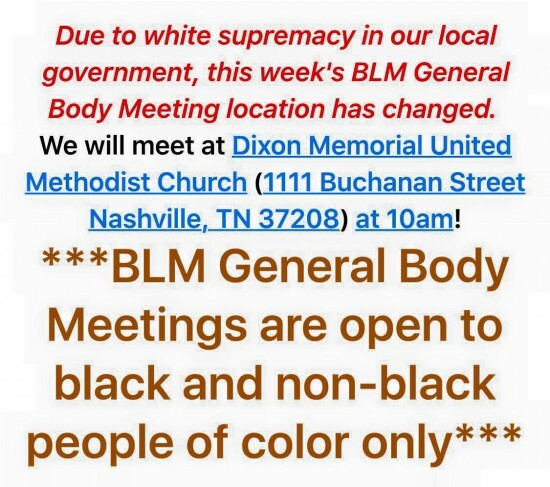 But the group has a rule, said Joshua Crutchfield, an organizer of the Nashville chapter: Only blacks or other minorities are allowed to attend. That means whites are excluded. Someone complained this week to the library system about the Black Lives Matter policy, prompting a library employee to inform the group of the library policy. Rather than open the meetings, the group decided to move less than a mile away to Dixon Memorial United Methodist Church.